CV 'spam': necessary evil... or outdated and annoying? How many times have you been told ‘I’ve got the ‘ideal’ candidate for your business’? Going one step further, how many times have you been told this from someone you’ve never even spoken to?! I would guess ‘pretty often’, in the regular speculative emails you no doubt receive from recruiters. The success of your business is the most important thing. To achieve growth and any other business objectives that mean ‘success’ for you, you need to attract and hire the ideal people – from top to bottom. My question is; how can a recruiter spamming you a CV have the arrogance to say they have the ‘ideal’ person unless they know your business??!! In order to find you the right people to help your business achieve its goals and aspirations a good recruiter really needs to understand your values, ethos, culture, business model and proposition. Only then can they truly deliver the ‘ideal’ people to help drive your business forward and set you apart from your competition. 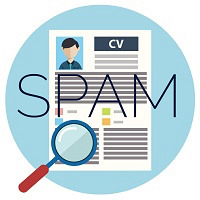 After listening to some of our clients, their main complaint is about the spam CVs they get; not necessarily bad candidates but just inappropriate in terms of skills and/or experience. At Sandringham Wood Recruitment we don’t believe in the CV spamming approach; in nearly 12 years of working in financial services recruitment it’s just something that’s never sat well with me. However, it can be difficult as we do get extremely good individuals registering with us – from junior to director level – who kind of expect us to adopt this approach. Interestingly, even those people who have been hiring managers in the past and complained about the amount of speculative CVs they receive! A bit of a catch 22 situation, I’m sure you’ll agree. There’s no easy answer – businesses need ‘ideal’ candidates to drive their success now and in the future. As recruiters, we get great candidates applying to us in search of a new role. So how do you match the two, without spamming, cold-calling and any of the other tactics that annoy many of us? Well, in my view, it all comes down to the ‘true partnership approach’ we’re always banging on about at Sandringham Wood. Recruiters need to work with their clients to really understand their objectives, and stop seeing the whole process as ‘just a numbers game’ (see my last post). Equally, employers need to trust recruiters – talk to them, tell them what you’re trying to achieve, where the gaps are, your future plans. By working together, your recruitment consultants can really add value – which is what you pay them for after all.